New Competiton Tan Formula-Amazing Results! 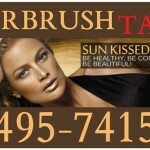 Today Only- 3 months of Unlimited Airbrush Tanning $199! !